On Sunday 9th August, A group of 25 brave hearts braced themselves against the winter winds and walked to Golden Mountain along the old logging track from the north side of Mount Tels. At over 1000 metres, we were ready to cop the Icy blast. For the first duration we walked in silence, through some of the most impressive stands of Mountain Gum and Peppermint Gum in the forest. Some of these trees must be many hundreds of years old and to stand beneath them is to stand in awe. We continued on to the summit of the Golden Mountain where a picnic lunch was hastily eaten. From the top of Golden Mountain there are views to the North and East, but to the south-east and beyond the steep escarpment there are incredible views to Sterling and Buller and the high country, out to Eildon, to Maindample and to Mount Skeyne. We highly recommend this walk and a printed guide to it will be released shortly. View south-east from Golden Mountain, across the sparsely-treed, low hills of Maindample and Bonnie Doon, with The Paps to the left. 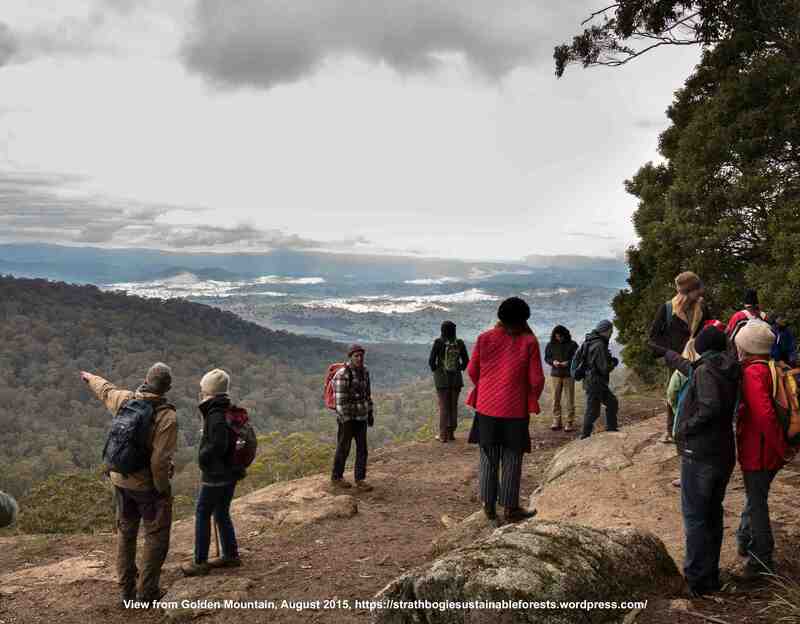 The Strathbogie Sustainable Forests group is leading a series of walks into the State Forest to bring peoples awareness to the beauty and diversity of this area, which is currently under threat of logging by the State’s timber harvesting arm, Vic Forests. 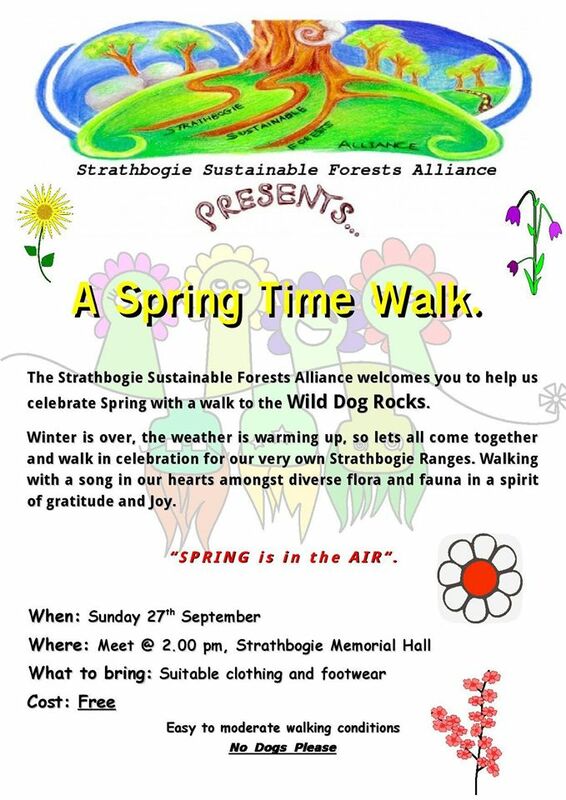 Walks are held every six weeks or so and focus on different areas and themes within the forest .The next walk is to Wild dog rocks on Sunday 27 September , meet at the Strathbogie Memorial Hall at 2pm .